Democrats were able to exploit the Jussie Smollett attack -- which evidence suggests was totally staged -- to pass a bill expanding federal hate crime laws. Republicans, who used to be against federal hate crime laws and the concept of hate crime laws altogether, gave unanimous support to the bill, no doubt because they feared they'd be seen as "pro-lynching" otherwise. Saying you oppose lynching people but are against federal hate crime laws is far too advanced a concept in the New America™. On Thursday [Feb. 14th], the U.S. Senate passed a bill that would make lynching a federal crime. 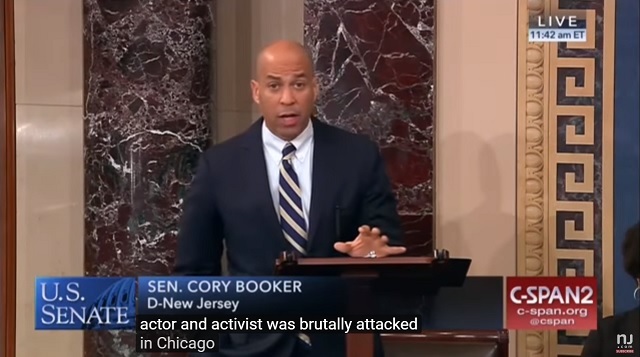 While discussing the bill, Booker cited the recent reported attack in Chicago against actor Jussie Smollett of Empire fame and said that "lynching is not a relic of the past." "Justice for the victims of lynching has been too long denied, and as we look forward we must collectively in this body make a strong, unequivocal statement," he added. 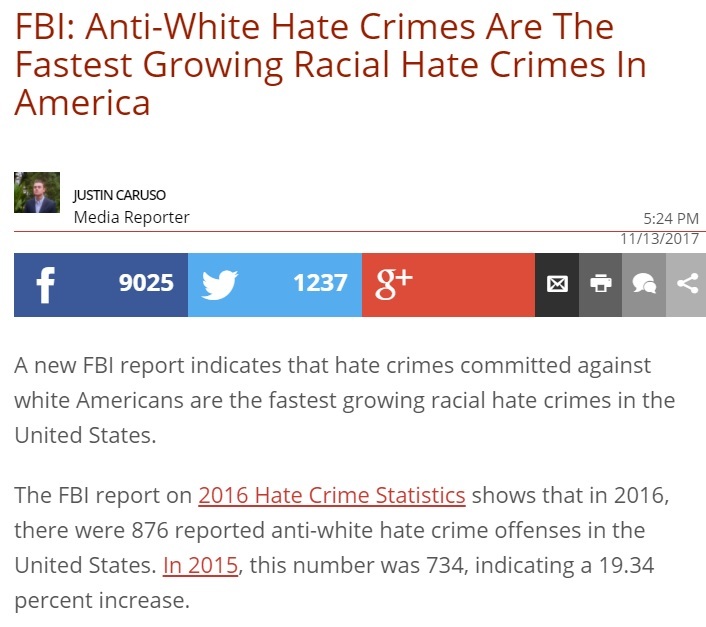 You can see in the video Booker said hate crimes against Black people, Jewish people, Muslims and LGBTQ are on the rise. Harris called lynching a part of the country's "uncomfortable history" that she said has never been "truly acknowledged" or "reconciled." "We must confront hate in our country. ... We are now making clear there will be serious, swift and severe consequences," Harris said. According to the text of the bill (pdf), "the crime of lynching succeeded slavery as the ultimate expression of racism in the United States following Reconstruction." Lynching was a "widely acknowledged practice in the United States until the middle of the 20th century" that "occurred throughout the United States, with documented incidents in all but 4 States." That's a nice way of ignoring the fact 1,297 white people were lynched during the same time period, according to Tuskegee Institute archives. The Hill reported: "Congress has tried but failed to pass anti-lynching legislation roughly 200 times since 1918, according to Harris's office." As Rahm Emanuel said in the past: "You never let a serious crisis go to waste. And what I mean by that it's an opportunity to do things you think you could not do before." Hate hoaxes are being exposed every week but they're being exploited nonetheless to pass legislation to give the federal government even more power.